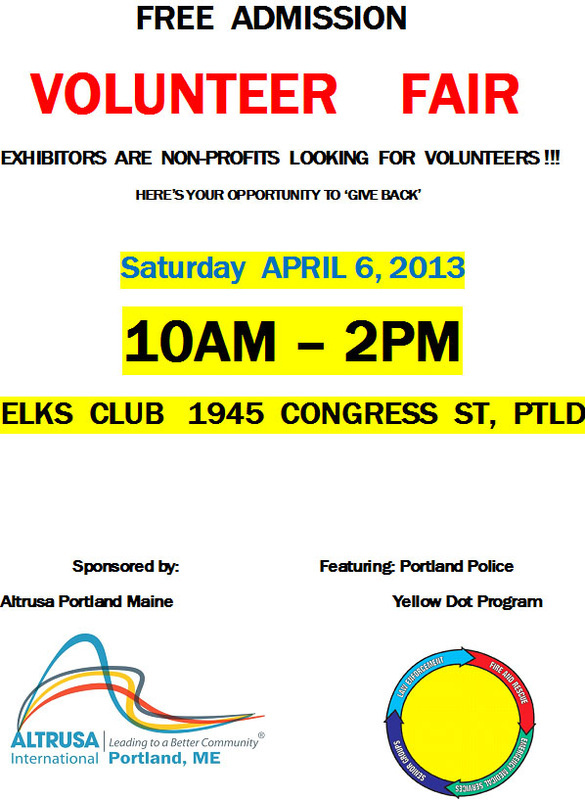 Showcasing volunteer opportunities from nonprofit organizations throughout Greater Portland! One stop 'shopping', spanning numerous volunteering interests. Multiple organizations coming together in one venue to inform, entice, and signup community volunteers from the general public who want deeper community involvement through volunteering.